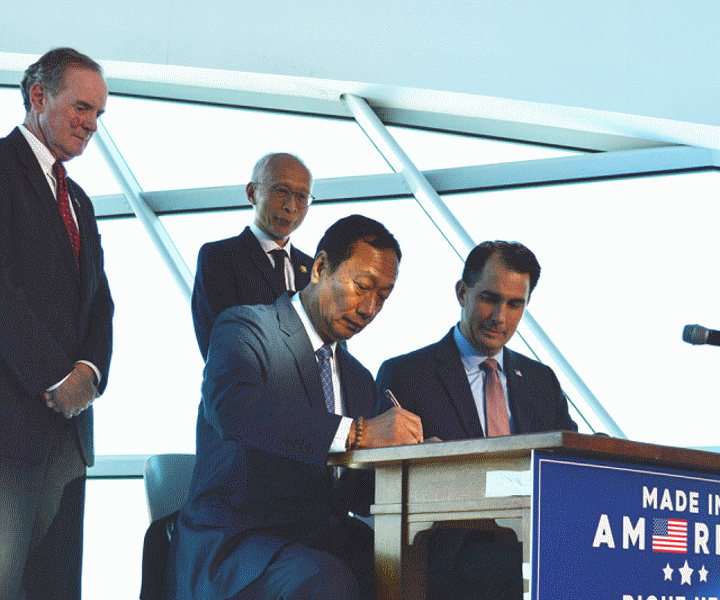 So Foxconn finally made a promised, good-faith $60 million deposit - - a week late. I'm remembering spotting former Wisconsin State Treasurer Charlie Smith literally running across the Capitol Square years ago, and I said, "Hey, where are you headed?" He said, "I've got a big check to deposit and a day's nterest is important "
I have no idea if the money is in a checking account, a savings account, a money market account or some super-special instrument, nor do I know if interest is credited either forward or going back. There are checking accounts in Wisconsin paying right now as much as 3%, and others less. $60 million times one percent = $600,000, divided by 365 (days) =$1,644, times seven (days) = $11,508. I'll bet a municipality could fill a bunch of potholes or run a fleet of emergency vehicles for some time with a found $11,508. If I screwed up the math, let me know. But with Wisconsin and other taxpayers (local, perhaps federal through highway funding) on the hook to Foxconn for more than $4 billion, does anyone give a fig for $11,508?